State Hwy 1617, Mitchell Rd, Davis Hollow Rd, and Johnson Rd. Local residents include Charlie Smith, Minter Lainhart, Johnnie Croley, Ben Bratcher, Maggie Kelley, Rawlings Kimbrell, Alice Johnson, A. Croley, Ed Kelley, Lester Hurley, Carl Bractcher, Arnold Maupin, Tom Davis, Gilbert Calice, Ruth Abrams, and Ed Ray. 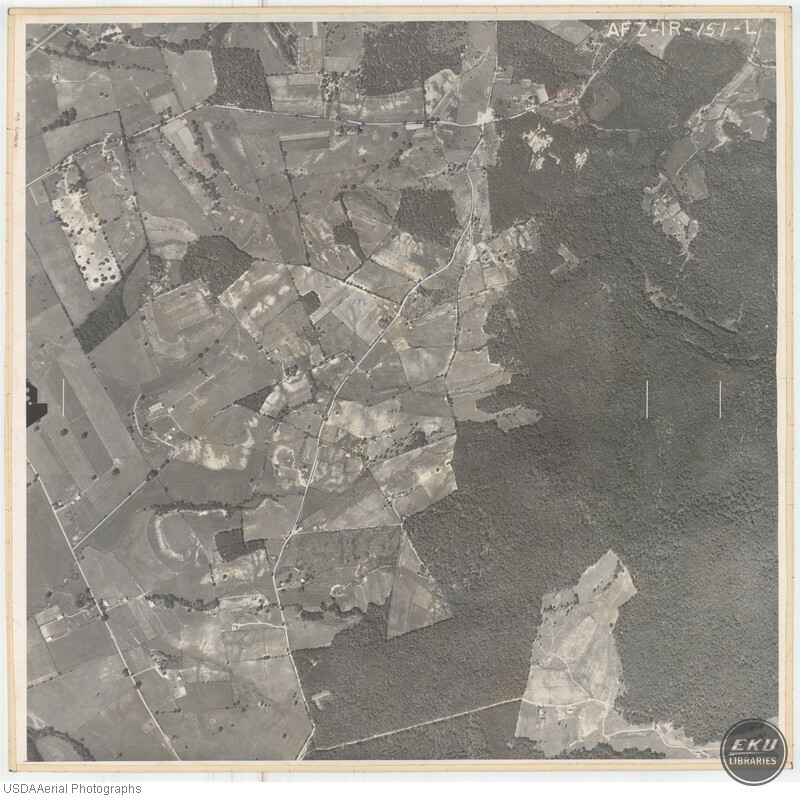 USDA, “Southeast Madison County, East Edge of Berea,” Digital Collections, accessed April 19, 2019, https://digitalcollections.eku.edu/items/show/835.